From left, Colm Fitzmaurice, Sarah Caldwell Smith, David Wannen, Stephen Quint, David Auxier and Angela Smith. 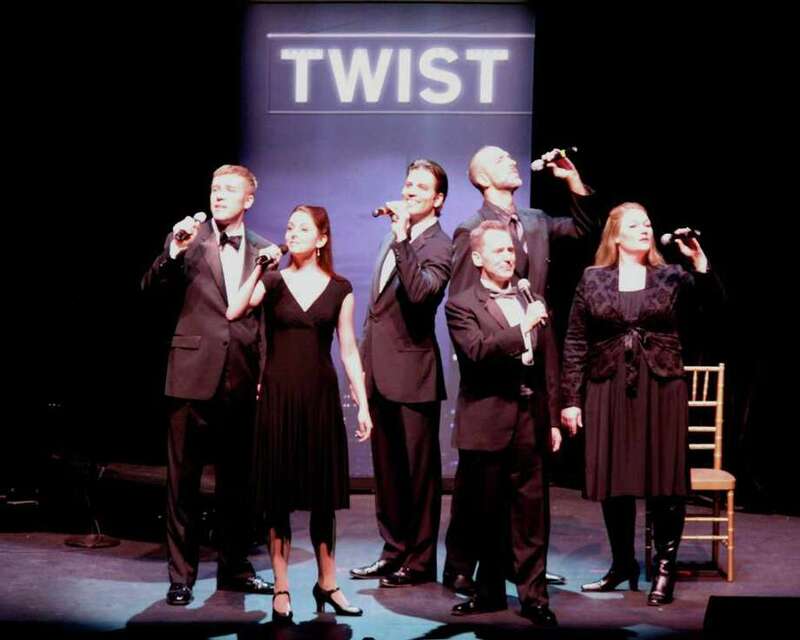 The Darien Arts Center's Cabaret Theatre presents "I've Got a Little Twist," for one-night only, Saturday, Oct. 15, at 8 p.m. The show's title is a play on "I've Got a Little List" from "The Mikado," and the talented cast lives up to its promise of never-ending "twists." It's where "The Mikado" meets "The Music Man;" where the "HMS Pinafore" sets sail for "Brigadoon." New York's Gilbert & Sullivan Players celebrate the legacy of G&S in American musical theater, featuring favorites from Rodgers & Hammerstein, Bernstein, Sondheim, Lerner & Lowe, Meredith Wilson, and Jerry Herman. Six stars of the NYGSP company will get up close and personal in this new musical revue which showcases a fresh take on G&S favorites and other musical theatre selections from the living legacy of G&S. All seats are reserved. Purchase tickets online at www.arts.darien.org, or call the box office at 203-655-5414. Food is not allowed in the theatre. However complimentary snacks will be provided, as well as a contributions bar. Tickets are $30 for adults and $15 for full-time students. Featuring the New York Gilbert & Sullivan Players, the performance will take place in the DAC Weatherstone Studio located in back of the Darien Town Hall, 2 Renshaw Road.